I read this article and found it very interesting, thought it might be something for you. The article is called 15 Health Tech Startups to Watch at HIMSS 2014 Startup Showcase and is located at https://hitconsultant.net/2014/02/21/15-health-tech-startups-to-watch-at-himss-2014-startup-showcase/. Epion Health is leveraging the power of mobile devices at the point of care to deliver interactive solutions to both patients and providers. What We Like: Seamless integration with PHR & EHRs. Potential to increase patient portal use from an average of 20% to 90% supporting Meaningful Use qualification. Traction: World class partners including Athenahealth, Mayo Clinic and HealthiNation. Clinigence is a transformational clinical business intelligence software-as-a-service (SaaS) provider. Clinigence empowers healthcare providers to transform their business successfully from volume- to value-based payment models by leveraging their patient data and our game-changing technology. What We Like: Big market opportunity with 58 percent of healthcare organizations have yet to implement a BI system. Veteran team of health IT professionals. Traction: Recent partnerships with Indiana Lakes Accountable Care Organization, Dashboard MD, ePatientFinder and SpringCharts. Wellframe gives people with complex chronic diseases a GPS navigation system for their health. Our system empowers patients by giving them step-by-step guidance and human support. Wellframe uses technology to amplify rather than replace therapeutic relationships. What We Like: Unique approach to care delivery using human-computer hybrids backed by successful clinical trails. Traction: Rock Health alum and Merck Innovation Challenge finalist. Accountable makes setting up and maintaining your compliance program a breeze. The platform was developed in conjunction with a few of the top compliance law firms in the country to give our clients the best documents available. What We Like: A new model for HIPAA compliance that guides you through every step of process to make your healthcare organization compliant. Traction: Accepted into TechStars Austin’s first class. Customers includes Filament Labs, Seamless Docs, TrueVault, Metric Wire and Lumiata. Make physical therapy easier by making the process interactive, entertaining, and available anywhere. What We Like: Gamification meets $29 billion physical therapy industry. Traction: Partnership with Genesis Rehab Services. TrueVault is a HIPAA compliant data store. We offer healthcare applications a secure API to store protected health information (PHI). 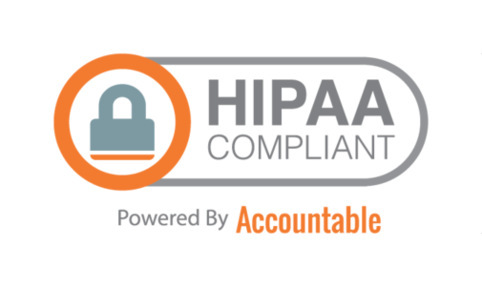 TrueVault handles all of the technical requirements mandated by the HIPAA Security Rule. Typical integration takes days and saves months of development time. TrueVault will sign a Business Associate Agreement (BAA), and protects customers under a comprehensive Privacy/Data Breach insurance policy. What We Like: Huge opportunity at a competitive price point: $0.001/API with unlimited file and JSON storage over more expensive HIPAA-compliant hosting providers. Traction: About 5 million documents stored on its platform and millions of API calls are being made to its APIs every week. Signups include nearly 200 companies, including image32, LifeVest Health, Weave and Rocky Mountain Health Plans and is growing fast. MediSafe helps people integrate healthier behaviour into their daily lives with its cloud-synced mobile medication management system. What We Like: Great focus on design and user experience making it one of the most top rated medication management solutions. Traction: Users have reported a medication adherance rate of 81%. Raised $1M in funding last fall co-led by Lool Ventures and TriVentures. Angel investors Eyal Gura, Yadin Kaufmann and Yair Schinde. 15. Wellbe Inc. – Helping Patients to succeed with their Medical Treatments and Surgeries. Wellbe specializes in Guided CarePaths® for acute care, with a mission to help providers distinguish the patient experience and improve cost performance in all high-volume DRGs such as Orthopedics and Obstetrics. Wellbe also provides its platform and expertise to the medical and nursing research communities to enable the rapid design, development and trials of new web-based interventions. What We Like: Specialized focus on acute care improving cost performance in all high volume DRGs. Be sure to vote for your favorite startup. 3. Reply with the # of your favorite startup. Win daily prizes simply by voting for your favorite company. « CareFirst BCBS Commits $1.3M to Telemedicine Projects Expanding Behavioral Healthcare To Underserved Areas of Md., D.C.